IRC Ground transportation sole aim is to guarantee ultimate customer satisfaction. IRC ground transportation gives end-to-end delivery to high-value products. With the help of our integrated network of service providers, we are in touch with top global and local carriers across the globe. We have set a high benchmark for our service providers, securing the best performance, security and advanced technology used in every shipment. Every event occurs in the course of a shipment is measured and analyzed by our professionals in order to drive process improvements and give an out sanding service experience to our customers. We offer dependable, versatile and wide selection of transportation and inter modal services. 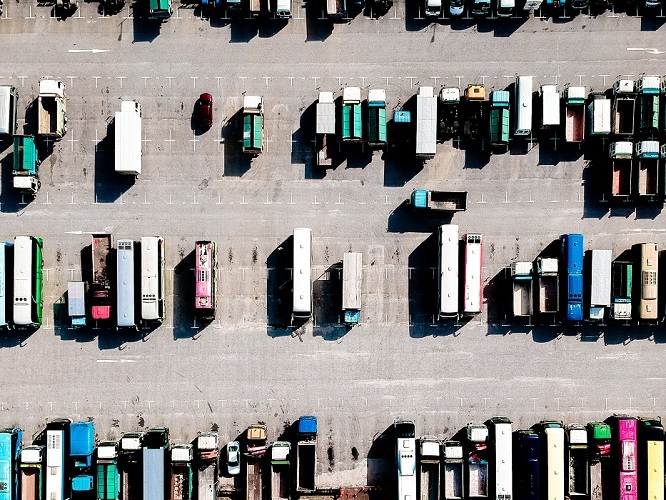 Our Inland transportation process works as a significant connecting link in our wide range of supply chain management system. Our thorough array of trucks, trailers and other inland transportation vehicles equipped with GPS carry your load from origin to port of dispatch and from port of landing to delivery place in an cost-effective, secure and time bound manner. Our team has the experience and resources to help you with even the complicated advanced transportation demand and challenges, no matter purpose of accumulation or delivery and size of the consignment. Client satisfaction is our prime priority, so we have a tendency to meet the goal and guarantee accurate, cost effective and accident free delivery of your cargo. We provide quick, reliable and competitive service throughout the globe. We also opt the accurate instrumentation, right vehicle and the right route for your specific cargo and we even have the ability to reconstitute the resources just in case of any modification. Our organisation provides a all-inclusive end to end customized solution for your need.